An Ornate carved 19th Century gilded antique mirror with good original glass and backboards. Superb plate, original frame with backboards in place. ****All our pieces are restored to the highest standards before sale. 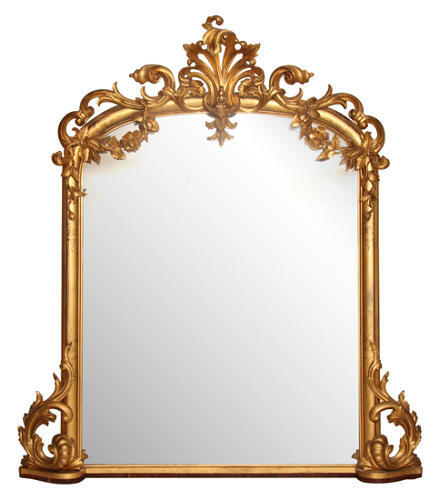 We use pure 23½ carat gold to refurbish gilded mirror frames. Structural restorations are carried out using traditional methods and materials. Minerva-Antiques promise safe, reliable and FREE delivery to anywhere in mainland UK. Buy this item NOW by calling (020) 8691 2221.